Today’s scarf is more of a cowl. And this I knit on a loom instead of by hand. 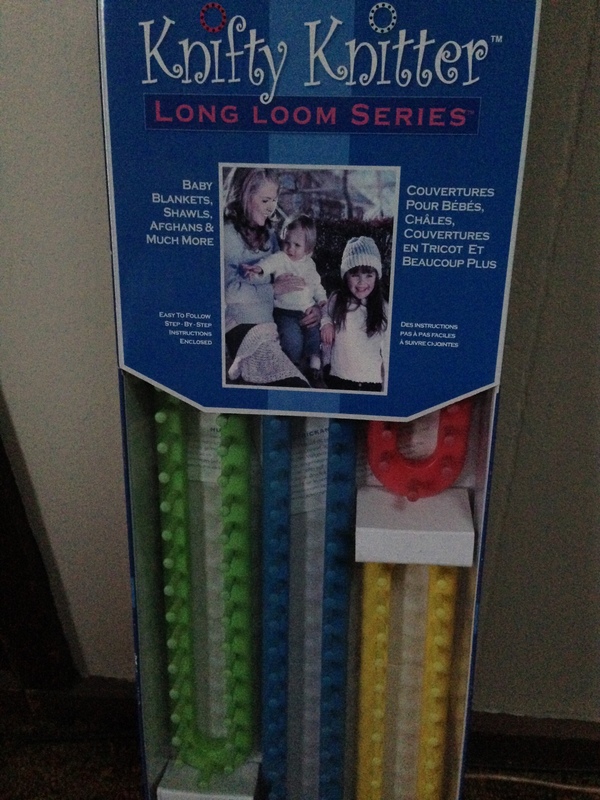 I got into loom knitting when I was in high school as a way to make scarves quickly. Casting on and casting off was difficult for me but eventually I got the hang of it and even got the whole set. 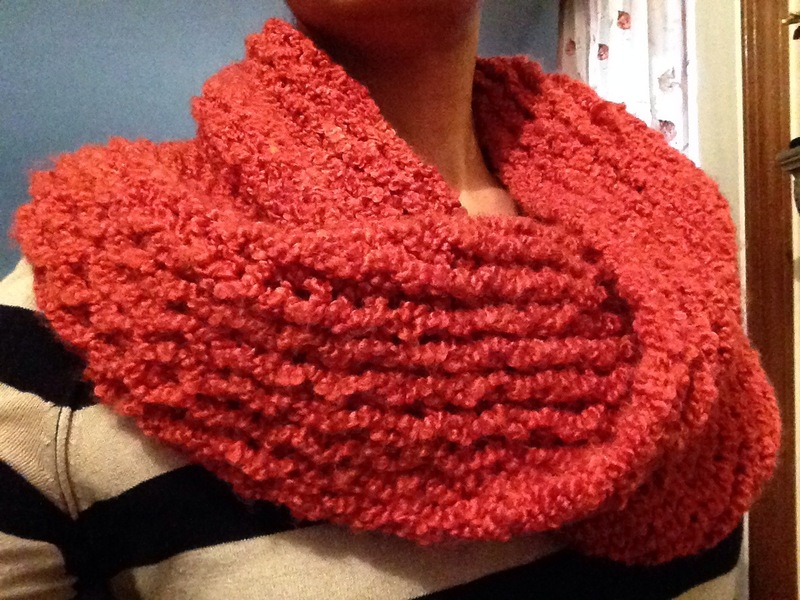 I had a big skein of this coral type color in my stash so I decided to loom knit it on one of the biggest ones. 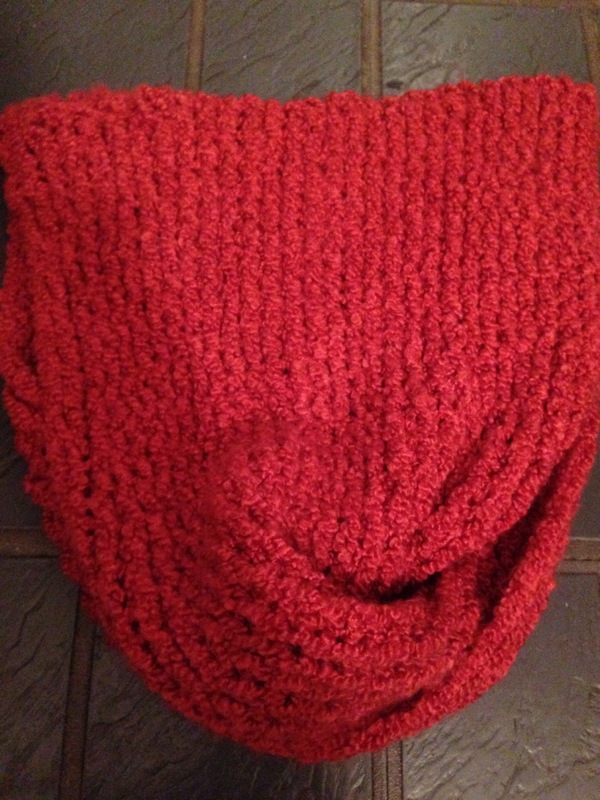 So when I ran out of yarn and it was very long I decided to make it into a cowl and seam up the back. I even put a twist in it. It’s luxurious and warm. And it’s nice because I can pull it up to me ears if there’s a chill in the air. This image is more true to the actual color.